The point of sale (POS) system in a restaurant is mainly charged with the checkout. Sometimes, there are free POS terminals in locations such as supermarkets as well. The system includes both hardware and software, and have come to replace electronic cash registers. 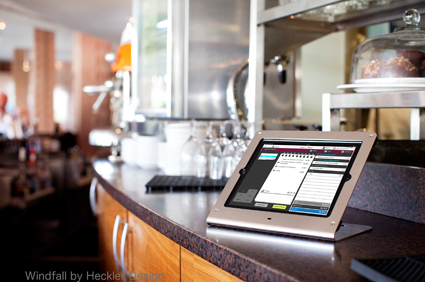 The POS system for iPad is one of the latest developments. A sales person, regardless of the industry in which they work, uses the POS system for every element of the sale. They can tick on the item they want, which is of particular use in restaurants and bars, take payments, print receipts, and more. Such a system has greatly increased overall customer satisfaction, because the system is very quick. At the same time, it has increased employee satisfaction, because the system is so reliable and easy to use. For management, meanwhile, it means quicker turnaround times, which means more business. The computer and monitor, which can be an iPad or similar device. Once the system is switched on, it displays the customer’s details, enabling them to see everything that was ordered and purchased. Additionally, it has a full payment system, which can even capture electronic signatures, and a pin pad for those who need to enter their pin number. Contactless payments can also be taken. Another really cool thing about these systems is that they can include special offers. In the retail industry, for instance, they could include a special “buy one get one free” deal. In a bar, they may include happy hour, which will only run for a certain period of time. Best of all, the system also handles inventory control, so that the right items can be at the right place at the right time, or so that they can be reordered. The hospitality and retail industries are the two industries that have benefited the most from these POS systems. This is because they also have report functionalities, which enables the industry to track their sales, see who is on shift, and how much they should get paid. Because the information is cloud-based, anyone with the right credentials within the organization can access the information that is relevant to them. This includes accounting, payroll, and ordering for instance. Plus, management can also remote access the information so long as they are somewhere with an internet connection. The advent of the internet, and then of wireless systems, has truly changed the world. This has enabled industries to greatly increase their customer and employee satisfaction, while at the same time making it easier and quicker than ever to meet organizational goals. The fact that, in a restaurant for instance, an order can be taken at the table and automatically sent to the kitchen, without staff having to walk there, has greatly increased efficiency. Furthermore, new improvements are being made and added all the time, which means these systems are becoming better and better.